One of the perks of owning a vehicle is the ability to make it your own. You don’t have to do it on your own however, Innovative Auto Craft is here to make your vision come to life. See how the slightest changes can make the biggest difference. 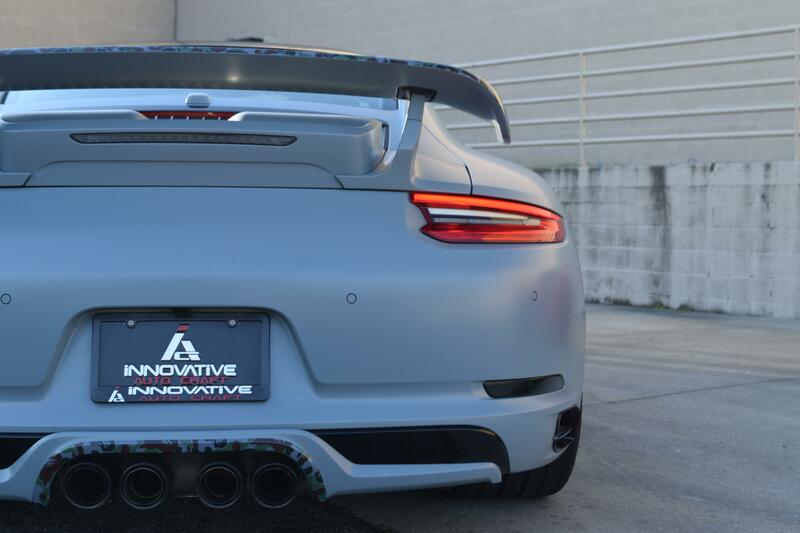 The Porsche 991.2 Carrera, for example, left the Porsche factory with an Agate Grey Metallic finish and it was transformed at the Innovative Auto Craft shop with 3M’s Battleship Grey wrap. The process required disassembly and attention to detail – evident in the final product which even features custom green Bape camo accents. You might miss them at first glance, but they’re a nice touch to an otherwise all grey body. We’ve seen Bape covered vehicles more and more recently and while we impressed with the full body wraps, we wanted to keep it simple this time and focus on the existing features while highlighted certain aspects to improve performance. To really give this Porsche the Innovative touch, we disassembled the brake calipers and custom painted them with the same green Bape camo from the exterior which tied it all together. The vehicle is equipped with a TechArt aerodynamic body kit which contributes to the car’s technical and functional quality. 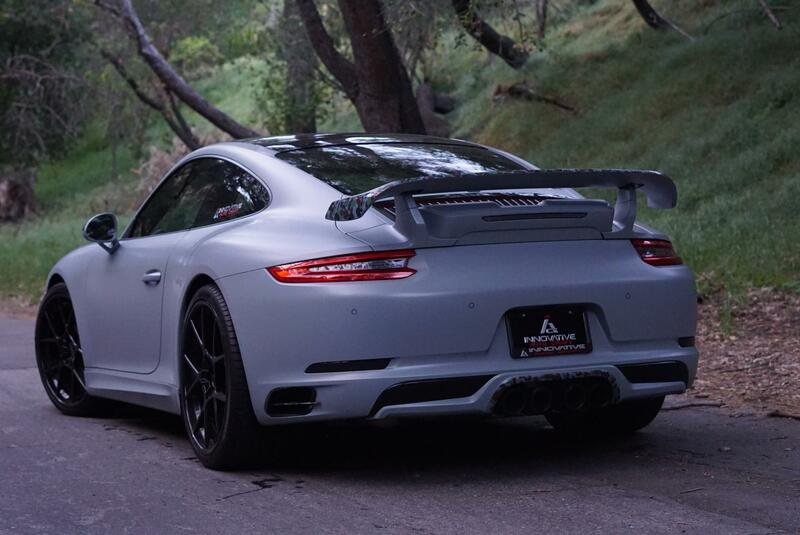 To perfect the symphony of this Porsche Carrera, we installed a TechArt exhaust system finished with matte carbon fiber tips. We added Rotiform KPS Forged wheels to improve style, durability and performance. Above all that, the Pirelli tires further amplify the ride quality and promote better handling of the vehicle. The tinted windows finish off the overall look of the vehicle. This is the perfect way to go if you’re planning on making subtle changes, but don’t know where to start. The Innovative Auto Craft team is always willing to help!